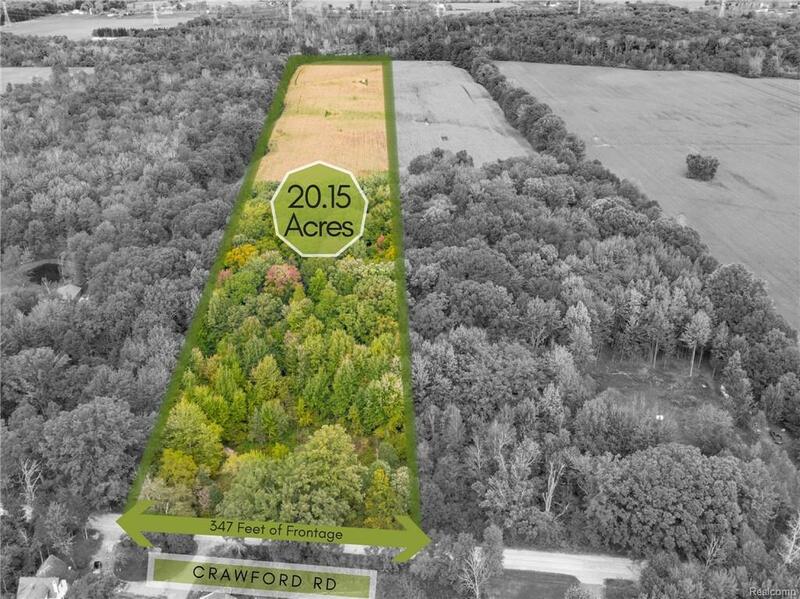 Crawford Rd Parcel "a" Vacant Land Columbus Twp, MI. | MLS# 218102717 | The premier resource for all real estate information and services in Metro Detroit. The best of all worlds! One of a kind property! Country living within short driving distances from all major amenities. Approximately half wooded and half farmed land. Build your dream home, keep for recreation and hunting, or both. Recently split and ready to go for whatever is desired. North side farm land can be rented or used leisurely. Surrounded by hundreds of DTE Energy owned wooded land. Many acres of wooded land to the West and over a hundred acres of farm land to the East. This property does NOT disappoint. The abundance of wildlife is surreal. Extremely quiet, peaceful and serene.